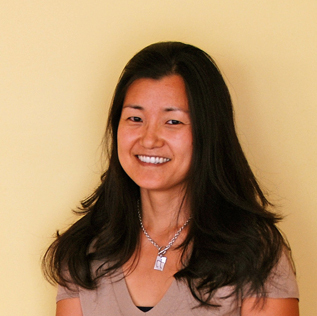 M. Jane Park is the owner of Balanced Bodies. Jane graduated with a masters in Physical Therapy from Mayo School of Health Related Sciences in 1997. She completed her IMT certification in 2008 and managed the Center IMT Chicago for 2 years prior to opening Balanced Bodies. Jane has previously worked in outpatient orthopedic settings with clients of all ages and functional levels from athletes to the elderly. She has a strong back ground in functional rehabilitation with closed chain activities. Vickie Nixon, P.T., I.M.T., C, is a graduate of Northwestern University in Chicago, Illinois, and holds a Bachelors of Science in physical therapy. 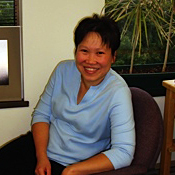 Vickie has been incorporating Integrative Manual Therapy into patient care for the past 10 years and received her certification in 2009. She has worked as a pediatric and rehabilitation therapist in a rehabilitation hospital, especially with patients recovering from strokes and head and spinal cord injuries. She has also taught continuing education courses on physical therapy of patients with spinal cord injuries, and has authored a book on the topic. 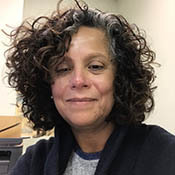 In addition, Vickie has held management and supervisory positions in rehabilitation facilities, including as assistant director of the Rehabilitation Institute of Chicago, and has worked extensively in the field of home care. Varunee (Nicky) Rungsriwong, PT., I.M.T., C, graduated with a Bachelors of Science in physical therapy from Mahidol University, Bangkok, Thailand in 1998. Varunee has incorporating integrative manual therapy into patient care for 13-14 years, and received her certification in 2005. During her 17 years of outpatient experience, Varunee has also taken courses in Pranic healing, CEM, reiki, the reconnection, Brain integration, MatrixEnergetics, Consciousness System(practioner class), craniosacral therapy, Zero Balancing, Somatoemotional release. 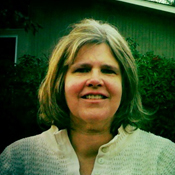 Janet Powers graduated from The Chicago Medical School with a BS in physical therapy in 1993. Her work experience includes being a member of Lutheran General Hospital’s brain injury, orthopedic and neuro-rehab team. In 2000, Janet earned her certification as a Feldenkrai practioner. 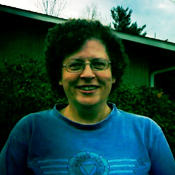 Janet completed her IMT certification in 2010. Janet’s extensive continuing education includes cranial sacral therapy, spinal mobilization, Gary Gray functional rehab and nutritional seminars. Mary Rose Rubenacker came to the position of Front Desk Manager, after having experienced firsthand the benefits of Integrative Manual Therapy for her highly medically involved son. Beyond seeing the skillful hands of the therapists at Balanced Bodies, she has learned how well a hurting body can be coached and assisted to help in its own repair. It is her aim to assist in getting patients on their health journey with ease and a smile. Mary Rose is mom to three children and a fur baby named Joe. She is challenged with getting in her 10,000 steps whilst being entertained with audio books. She enjoys entertaining, volunteering and ice cream.